UMB Blog » Personal Banking » Do you qualify for a USDA home loan? Are you ready to purchase a home and looking to live in a rural community? If so, a United States Department of Agriculture (USDA) loan might be the right financing option for you. What is, and how do you qualify for a USDA home loan? A USDA home loan is a zero-down payment mortgage loan for rural and suburban homebuyers that offers lower interest rates than most other comparable programs. 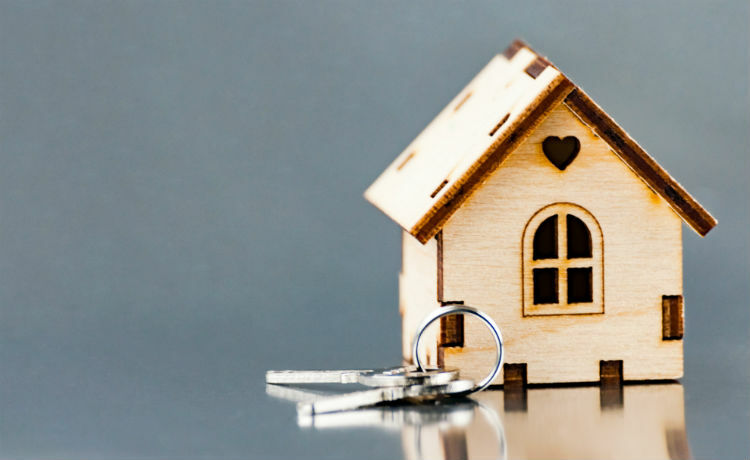 This is a great advantage to home buyers who are having a hard time saving the three to five percent usually required for a home loan. However, with this loan, you will be required to pay a mortgage insurance premium. Where do homes need to be located to qualify for a USDA loan? The home being purchased must be located in an eligible rural area as defined by the USDA. Use this online tool‡ from the USDA to determine if the area you are considering qualifies. What are the individual qualifications for USDA loans? Income: Limits to qualify for a home loan vary by location and household size. To determine the income limits for the county of the home you wish to purchase, use this USDA map and table‡. Applicants must also have dependable income for a minimum of 24 months. Monthly payment: This must be 29 percent or less of the applicant’s monthly income, and other monthly debts cannot exceed 41 percent of monthly income. Credit history: Applicants must have an acceptable credit history, with no accounts converted to collections during the last 12 months. Citizenship: Applicants must also be U.S. citizens or have permanent residency established. What is the USDA loan process? Obtaining a USDA loan is not much different than getting a Federal Housing Administration‡ (FHA) loan or other traditional mortgage options. The USDA sponsors the loan, similar to an FHA loan, but local lenders handle 100 percent of the transaction. That means a lender does everything from taking your application to issuing the final approval. The USDA then puts a final stamp of approval on the loan. How do you qualify for a USDA home loan? It can be tricky a tricky question to answer. If you are interested in a USDA loan, or would simply like to see if you qualify, contact your UMB mortgage loan originator today. Follow UMB on LinkedIn, Facebook‡ and Twitter‡ to see regular updates about our company, people and timely financial perspectives. It’s a good bet most people don’t know that “”rural”” USDA-backed mortgages can also apply to suburban homebuyers. There are many locations within the common commuting distance of a nearby city that are included in the USDA’s definition. The only way to know is to check out the website indicated in the article. If your property’s not eligible, there can still be programs available to you that make loans with no money down, such as the VA program. For low-and-moderate income buyers, many states offer programs that feature low or no-money down plus assistance with closing costs, too.